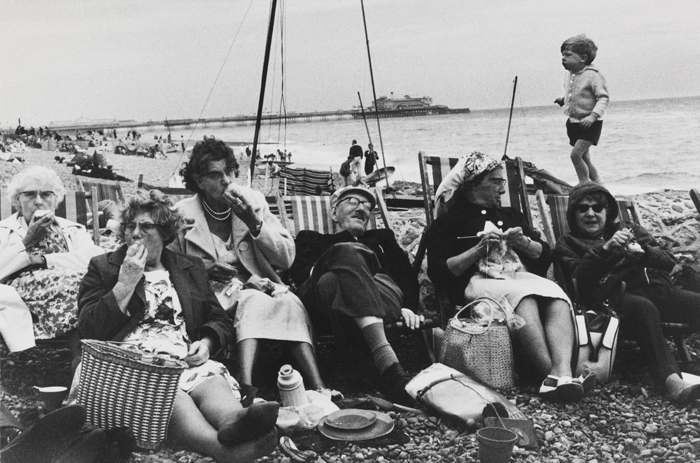 Recently I went to two exhibitions of British social photographers’ work of the 60s and 70s. Daniel Meadows at the Library of Birmingham, and Only in England– Tony Ray Jones and Martin Parr at the Science Museum. All three photographers were contemporaries and friends, working on similar topics of noticing the arresting and unusual in ordinary people in everyday settings. All photographs in this entry are from the photographers’ own websites. When he was a student, Daniel Meadows set up a rudimentary studio in a poor area of Manchester, and invited local people to have their portrait taken for free as part of a project. Later on, in the early 70s, he got funding to do the same thing in a bus travelling all around the country. 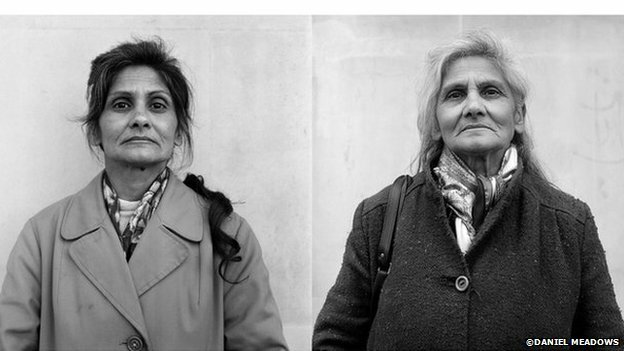 25 years later he tracked down some of the people (such as Florence Snoad above) and took comparison portraits of them. He has a very comprehensive website here, with photos and films telling the stories of his trip and the people he photographed. In the Science Museum exhibition, Tony Ray Jones‘ work focused on the eccentricities of everyday life, and Martin Parr showed a less well-known project of his from the 70s of non-conformist hill farmers around Hebden Bridge. Because you aren’t allowed to take photos in the gallery, I wrote a spur of the moment note about each photo. The one above was “good sturdy nanna legs in thick nylon stockings”. My sketchbook ended up being full of phrases like “drums & nuns”, “drowned in Butlin’s aquarium”, “my ladder makes me superior”, wearing tweed, cascading pennies”, “loneliness of the short-term boarding house”, “how much does the Mayor weigh?”, “tennis racquets mark the spot”. I have no idea what I meant by most of those things now, but they provide some nice mental images. 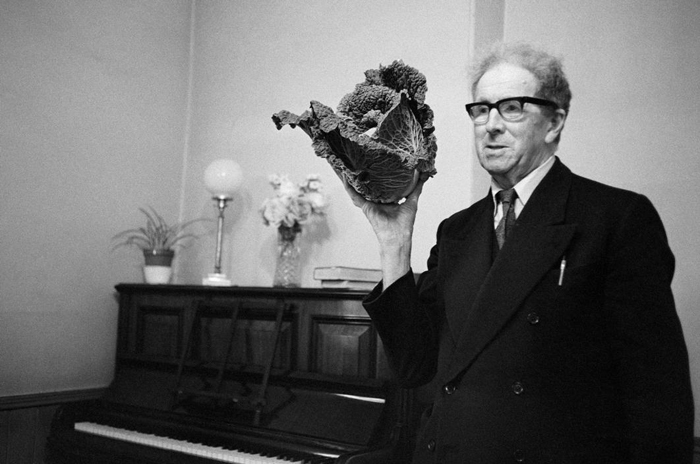 As does Martin Parr‘s photo of a Methodist holding up a cabbage.